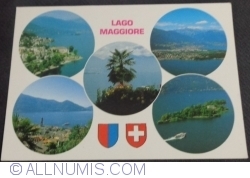 Lake Maggiore (Italian: Lago Maggiore) or Lago Verbano (Latin: Lacus Verbanus) is a large lake located on the south side of the Alps. It is the second largest lake in Italy and the largest in southern Switzerland. 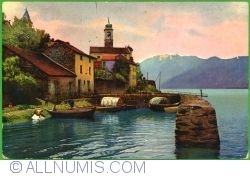 The lake and its shoreline are divided between the Italian regions of Piedmont and Lombardy and the Swiss canton of Ticino. 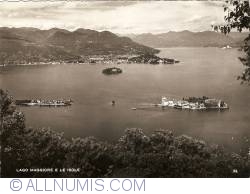 Located halfway between Lake Orta and Lake Lugano, Lake Maggiore extends for about 65 kilometres (40 miles) between Locarno and Arona.